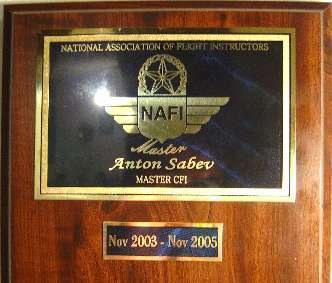 Anton Sabev is an efficient flight instructor who teaches to high safety standards. He has flown small airplanes throughout North America, and across the Atlantic Ocean to Greenland and Europe. 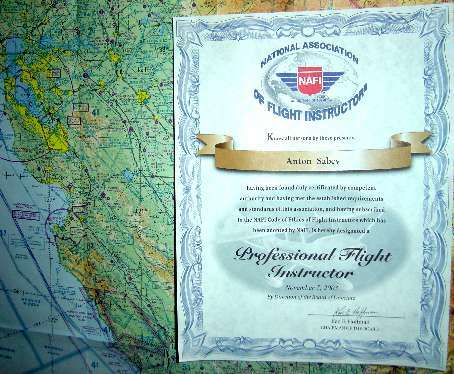 Over the years Anton has trained pilots from various professional backgrounds for all airplane certificates. He has been highly active in instrument and multi engine flight training. Additionally Anton instructs in tailwheel and customer owned airplanes. To learn flying from Anton call (650) 776-4435 or just SCHEDULE. Discounted rate for existing customers until the completion of one pilot rating.